Introduces the fundamentals of table tennis in singles and doubles play, including serving, smashing, forehand and backhand, rules, and scoring and strategy, at an advanced level. Emphasizes learning of the game through both recreational and competitive play. Covers the use of advanced-level table tennis equipment. Recommended: Intermediate table tennis skills and/or PE 183P. Audit available. Participate in table tennis as a lifelong sport and as a method of developing physical fitness and wellness. Apply the fundamental rules, strategies, and tactics of table tennis during game play at an advanced level. 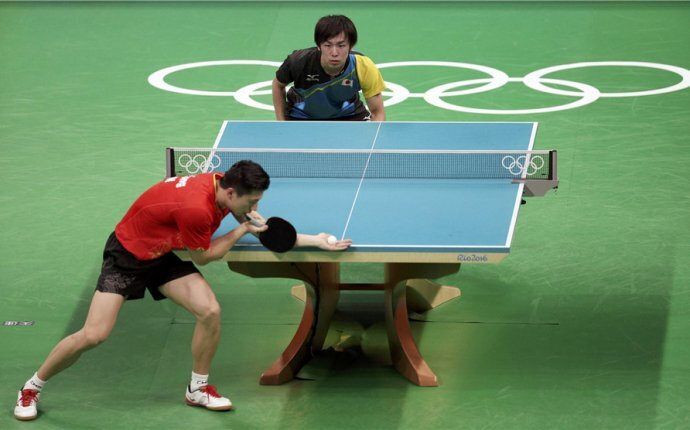 Choose table tennis equipment appropriate for an advanced-level player. Participate in on-campus and off-campus competitive table tennis opportunities. Increase levels of agility and coordination through participation in table tennis. and Intermediate Table Tennis, except that the level is considered. 1.2 To select the right grip for the student. To develop an understanding and application of a proper serve. 2.1 To identify the elements of a proper serve. 2.2 To identify and remember each rule. To further each student's ability to use all basic strokes. 3.1 To identify and practice each of the basic strokes. To learn the rules of table tennis etiquette. To develop the recreational value involved in table tennis.